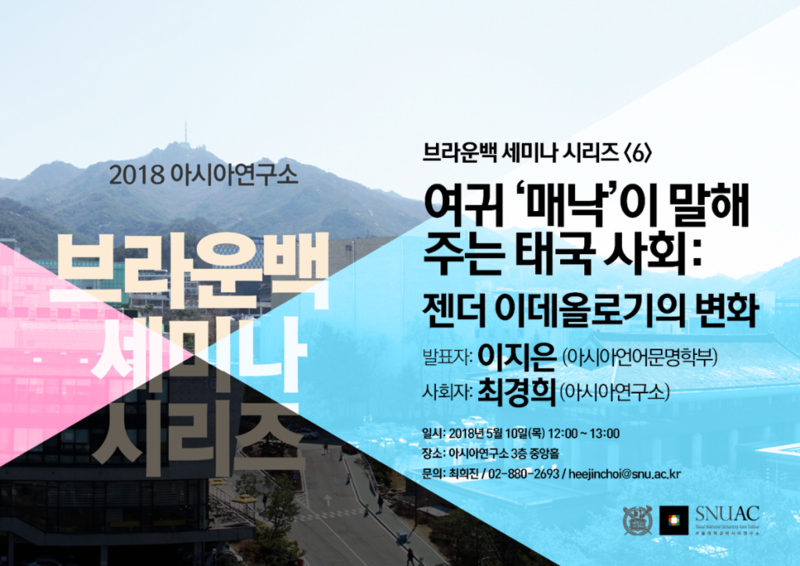 아시아연구소 방문학자세미나는 매년 봄학기 프로그램 (3월-8월)과 가을학기 프로그램 (9월-2월)으로 운영된다. 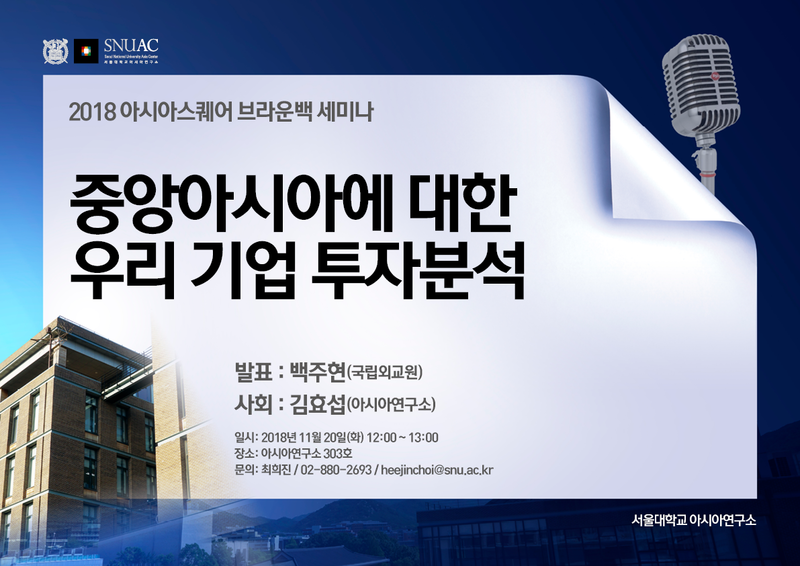 방문학자세미나는 방문학자들이 자유로운 형식으로 연구진행 상황을 나누고, 의견을 교환하는 자리로, 해당 주제에 관심을 가지고 있는 사람은 누구나 참여가 가능하다. 각 세미나는 발표자 소속 기관에 대한 5분 내외의 소개와 약 20분간의 주제 발표, 그리고 참여자들과의 토론으로 이루어진다. 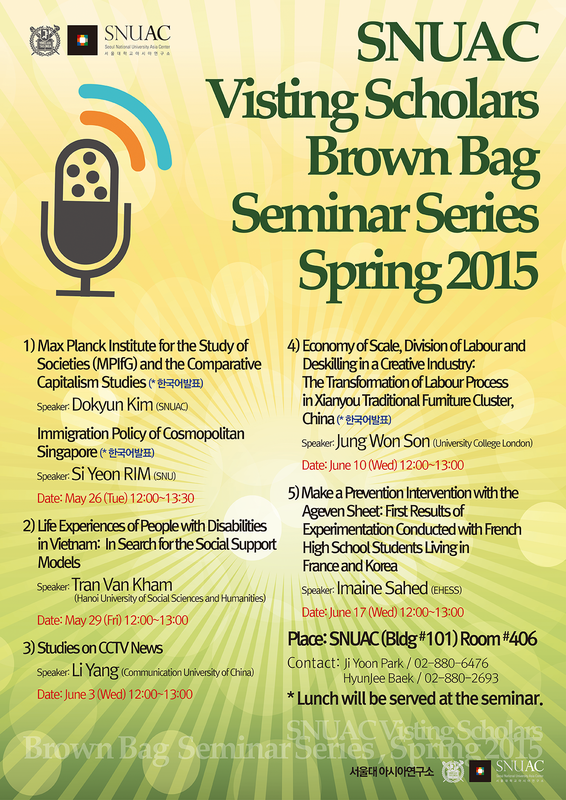 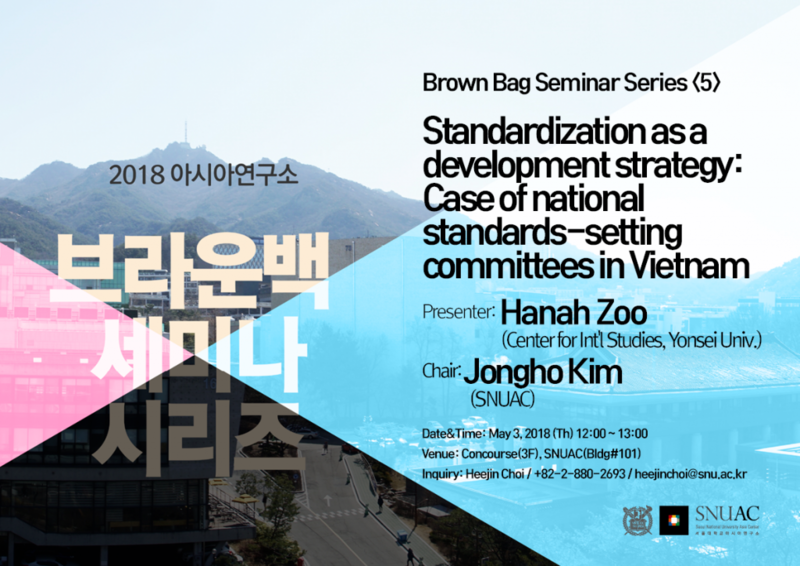 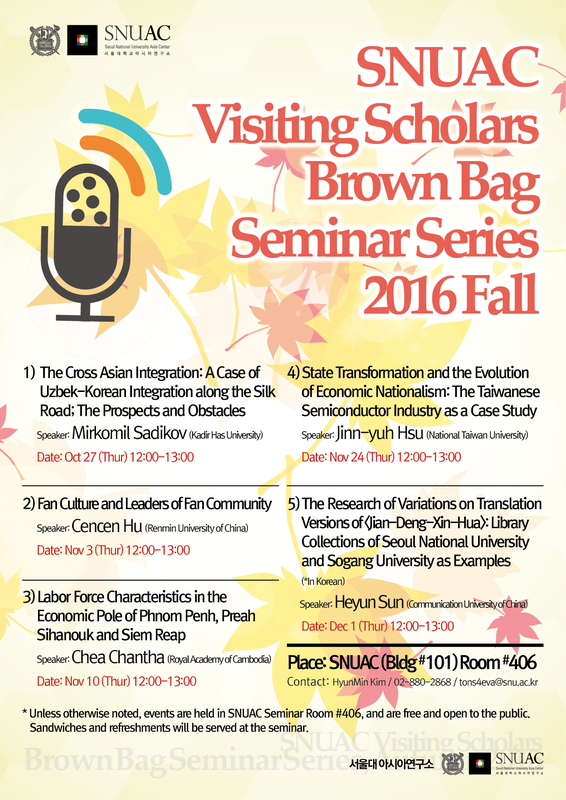 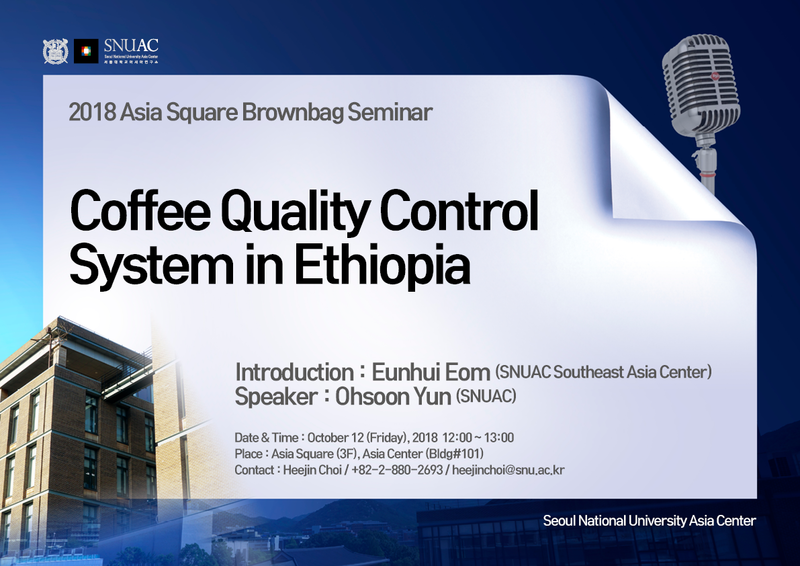 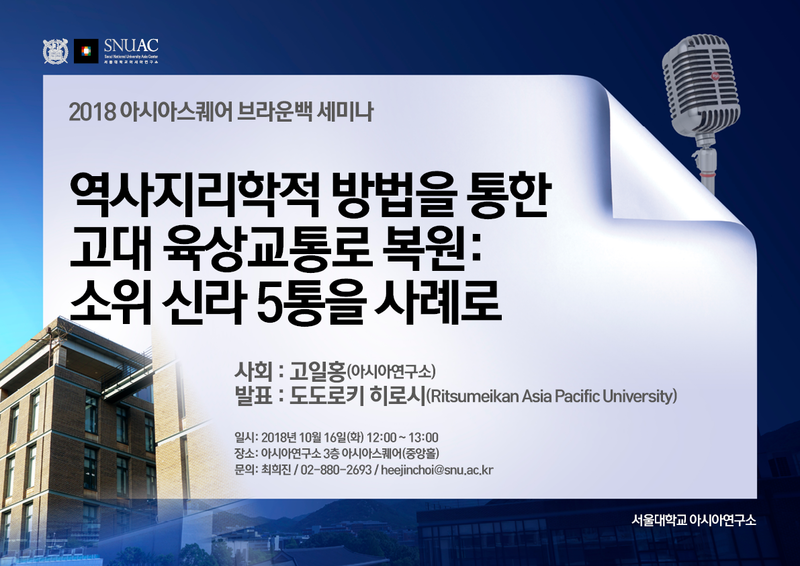 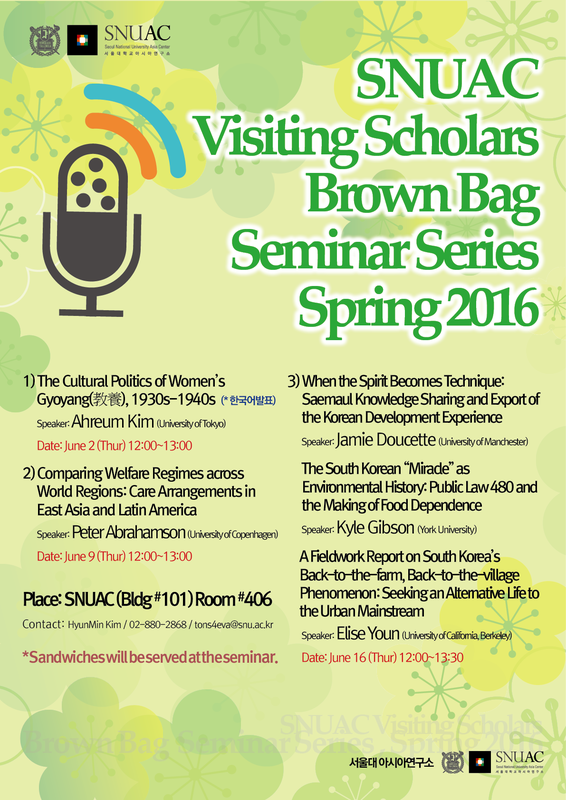 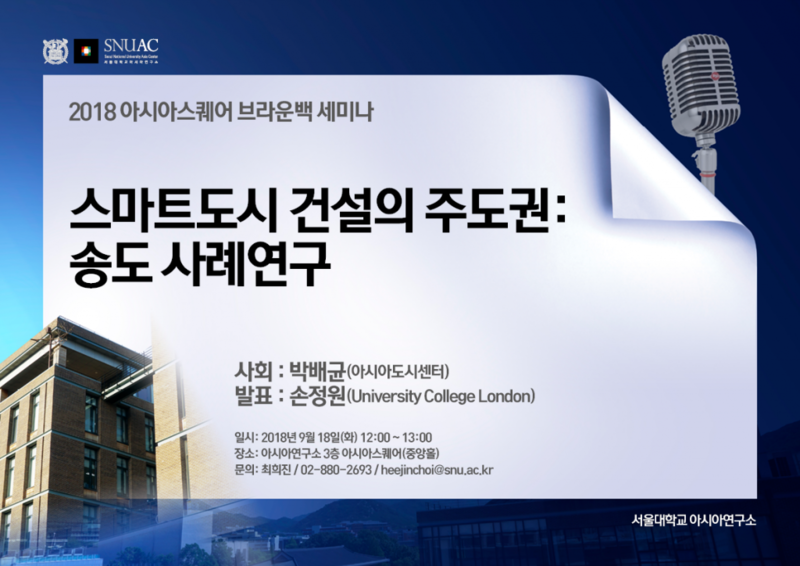 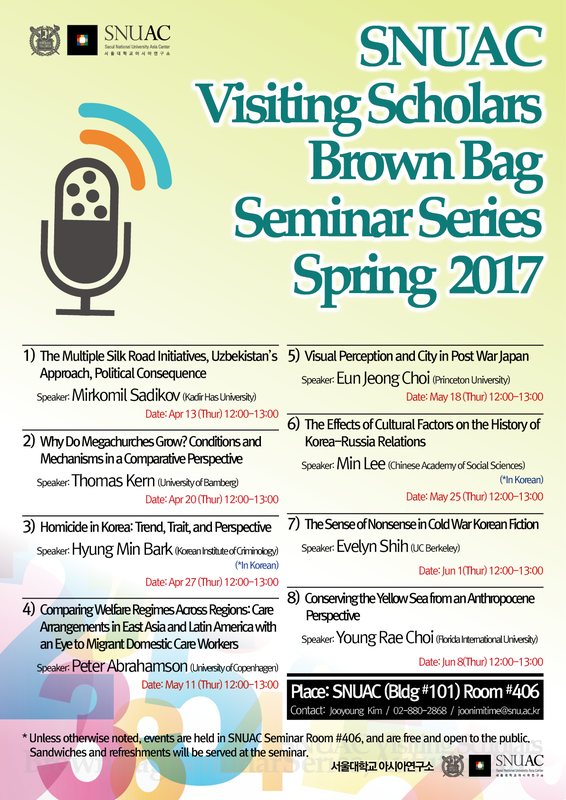 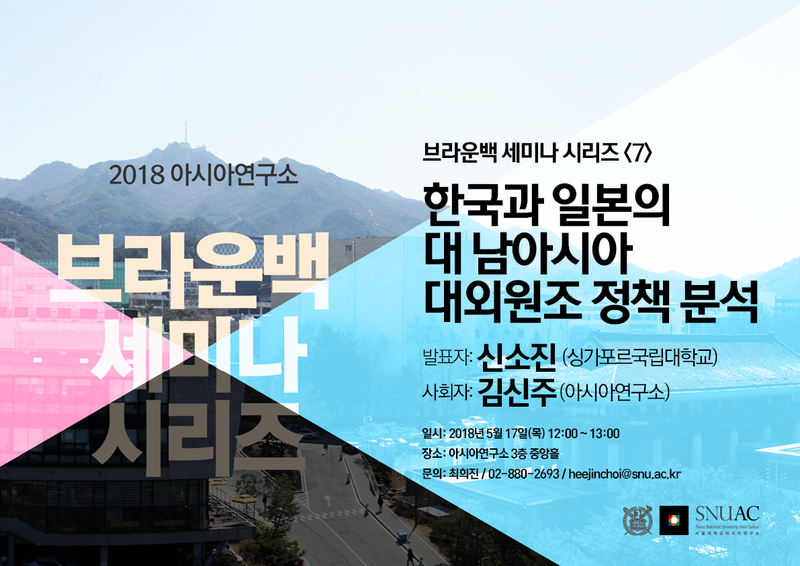 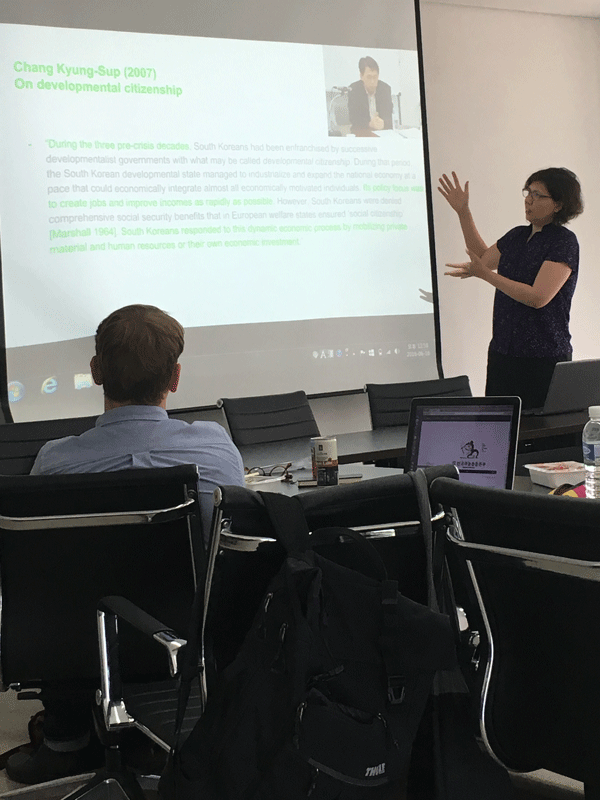 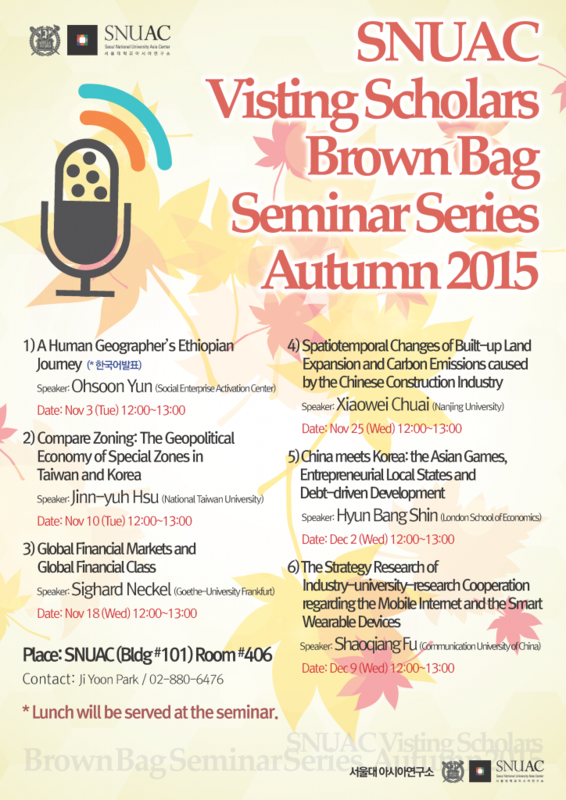 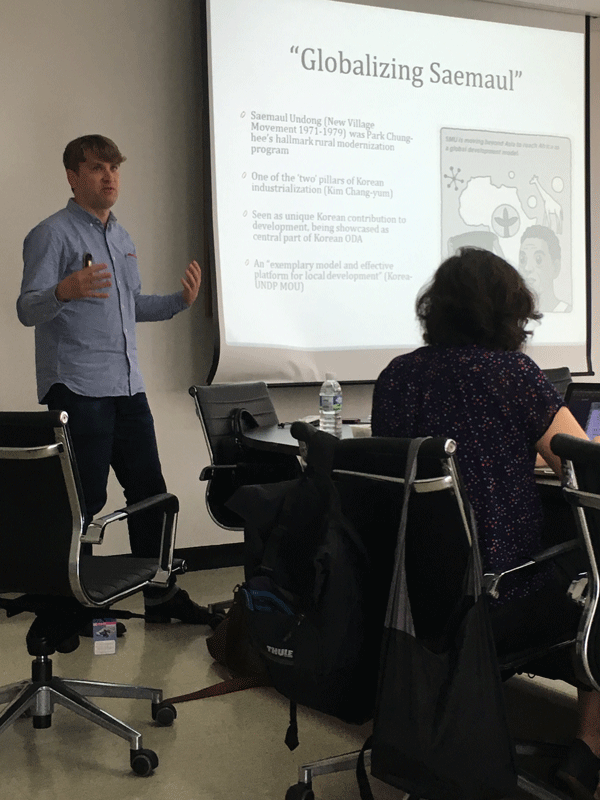 SNUAC Visiting Scholars Brown Bag Seminar Series runs through the academic year: Spring Program (March to August) and Autumn Program (September to February). 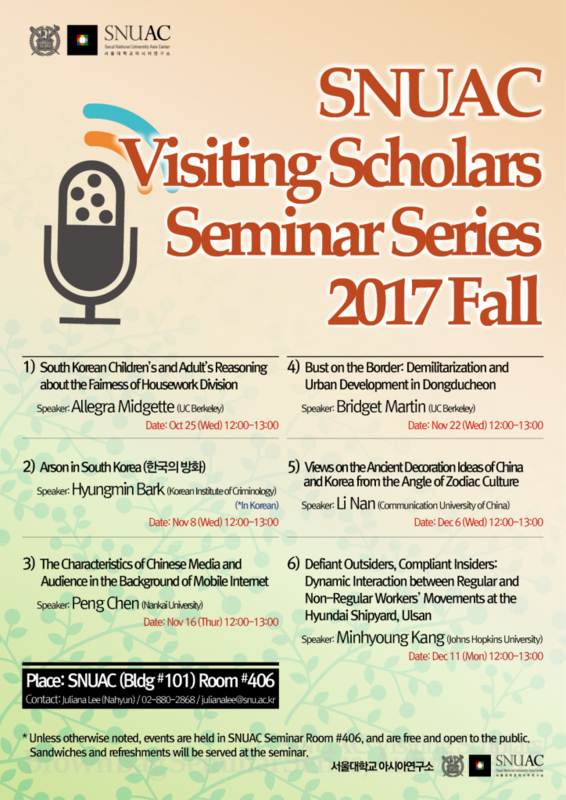 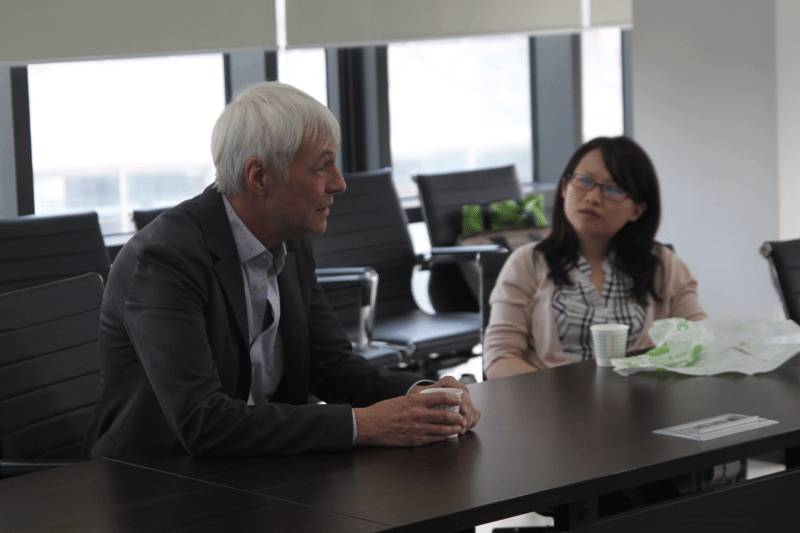 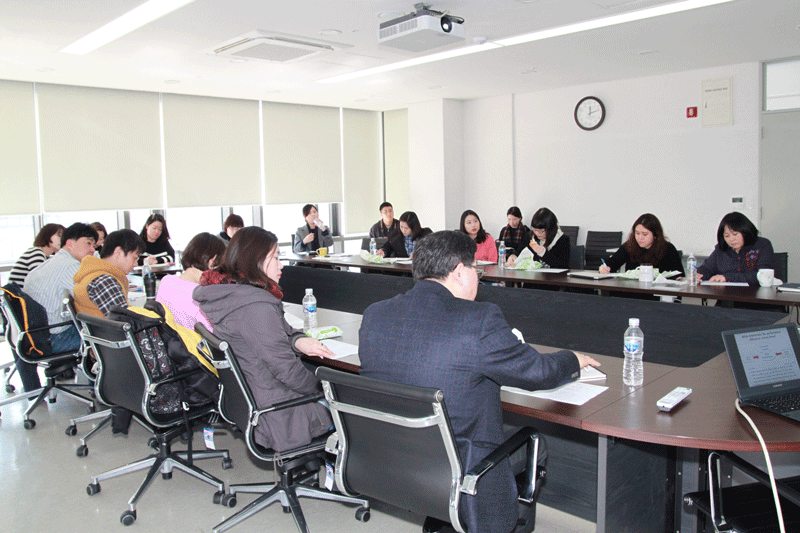 All visiting scholars are expected to share their research progress and exchange ideas in informal setting seminars. 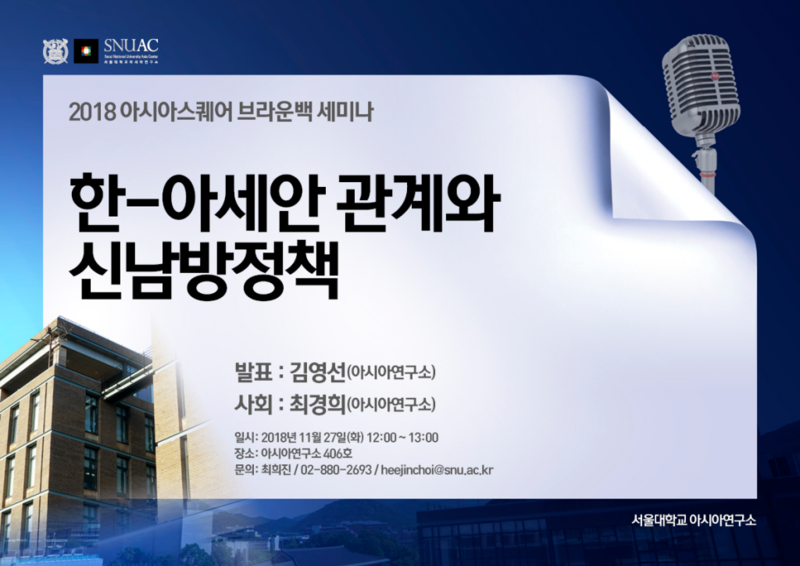 Each seminar roughly consists of 1) introduction of home institution of the presenter (5min), 2) topic presentation (20min), 3) discussion with other participants (25min) and is open to the public. 1) Who Built World’s First Smart City Songdo? 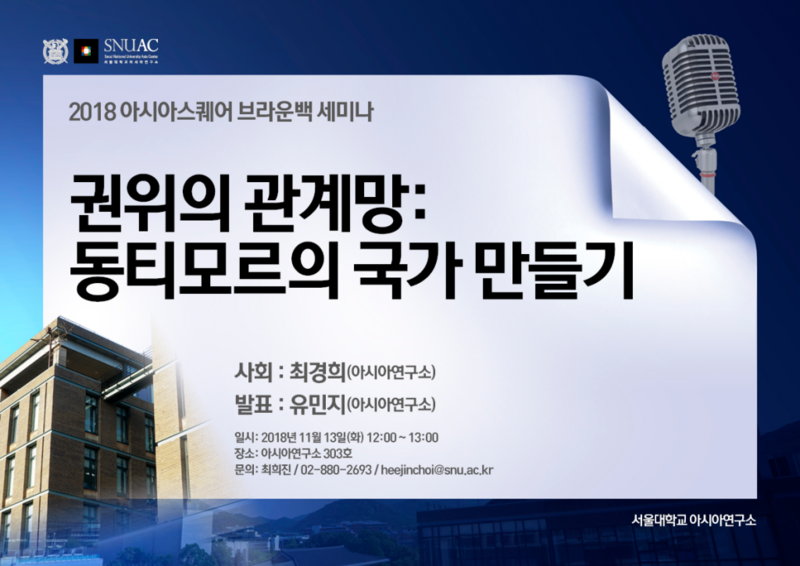 5) Is Unequal Democracy a Universal Phenomenon? 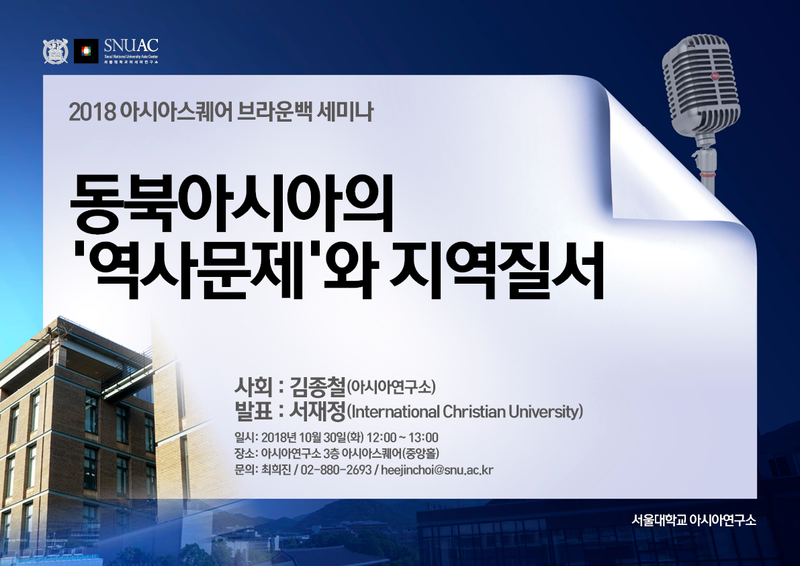 * Sandwiches will be served at the seminar.